Istanbul will bring together the leaders and experts of the real estate sector at the The Great Real Estate Meeting-RE360 to facilitate discussions on the sustainability of the sector. "The Great Real Estate Meeting - RE360," which focuses on diversity, innovation and common efficacy to move the Turkish real estate sector toward a sustainable future, is bringing together many institutions and organizations from the public and private sectors, and investors and service providers. 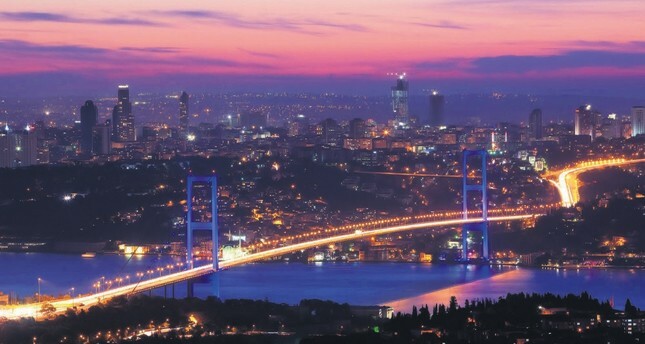 The meeting at Four Istanbul on Dec. 5-6 is bringing together some 1,000 high-level investors, developers, architects, sector suppliers, banks, funding companies, consultants, IT specialists and public institutions. The movers and shakers of the Turkish real estate sector and real estate professionals take great interest in RE360, which is supported by the Environment and Urban Planning Ministry, public institutions such as Emlak Konut Real Estate Investment Trust, and metropolises determined to become leading cities of the future through urban transformation projects. Another important feature of RE360 is that, not only the players who have ushered in a new era in the Turkish real estate sector, but also those who have written world history are participating in 16 sessions to be held for two days. One of those people is Dr. Peter Frankopan, an Oxford University academic who is known as a "fearless and brilliant" writer and a sensation on an international scale with his book "The Silk Roads: A New History of the World." Another speaker will be Greg Clark, the head of JLL Cities Research Center and a board member of London LEP, which provides international consultancy to many cities, including New York, Oslo, Salvador, Vienna and is recognized as an authority in urban strategy. Maria Sisternas, who has a worldwide reputation, will also speak at RE360. Sisternas is considered one of the writers of Barcelona's original renovation story, which today is regarded as an exemplary model of sustainable urban renewal. She is also the founder of Mediaurban, an adviser of smart cities and urban strategies, and a member of ULI Barcelona. The representatives of cities that draw attention with ongoing projects to attract investments to Turkey and their efforts to make Turkish cities viable are attending RE360, where investment opportunities in countries will be explained with new initiatives. The planned 16 sessions of the conference will address the writers of the world's new game, cities that come to the fore with investment projects, the new order in construction and sector-related strategic issues. The bosses of real estate will reveal their expectations for 2017, experts will explain buildings and cities that are becoming smart thanks to digitization, advertisement experts will convey the codes of marketing in real estate and successful investors will speak on not-so-visible investment opportunities. Moreover, "The Consumer Trends Survey in Real Estate," which has been planned especially for the event, will be announced. Alkaş Chairman Avi Alkaş said that RE360 creates great excitement with a multi-faceted structure in diversity, innovation and usefulness and national and international branding even at the idea generation stage. Alkaş added that the event attracts great interest because it will bring together all parts of real estate on the same platform. He said that the commonsense and synergy that will follow "The Common Efficacy Platform" created at RE360 will boost added value in the Turkish real estate sector both nationally and internationally.